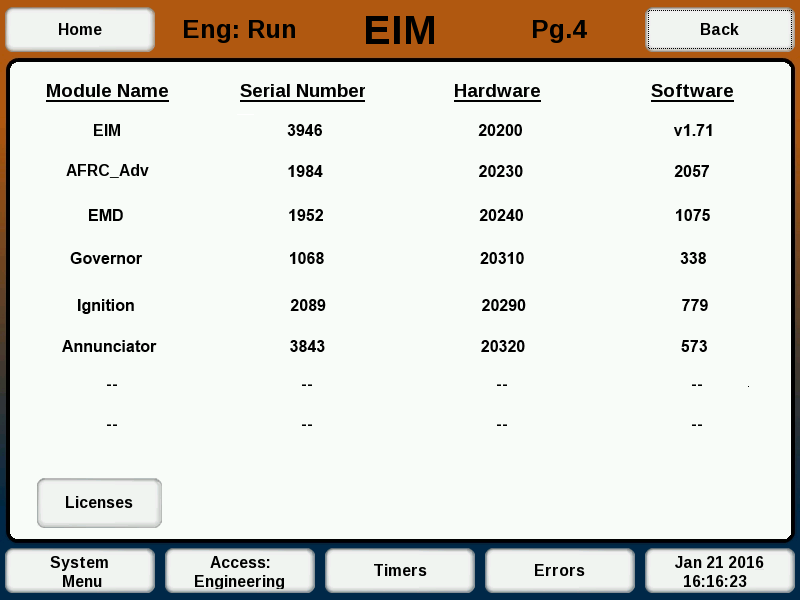 Software Update - Controls – Welcome to the EMIT Technical Forum! This article outlines the method for updating the software on an EMIT Air Fuel Ratio Controller (AFRC), Governor, Emissions Management Device (EMD), Annunciator, AEM, or EDT. The process is the same for all modules. - Insert a blank USB thumb drive into your computer. The thumb drive must be empty and formatted in FAT32 format. 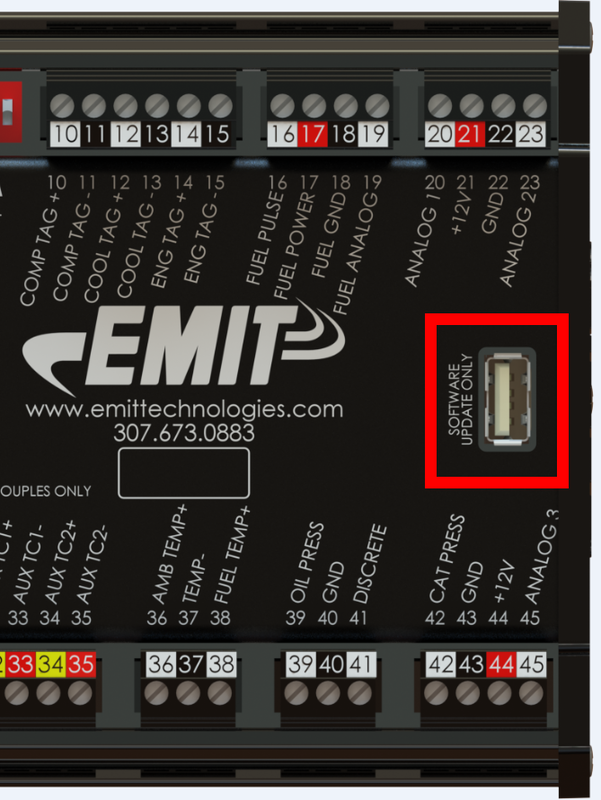 - Transfer the EMIT module software update file to the USB thumb drive. The file name is typically the name of the module with a ".hex" extension. - After the transfer is complete, eject the USB thumb drive from the computer. - On the module to be updated, insert the USB thumb drive into the USB port that is labelled “SOFTWARE UPDATE ONLY”. - Turn the power to the module OFF for a moment, then turn back ON. When the module powers on with the USB thumb drive installed, it will locate the file and perform the update. - After 30 seconds, remove the USB thumb drive from the module. - From the “System Menu” screen, select the “System Settings/Utilities” button on the lower right side of the screen. - Next, select the “About” button on the upper left side of the screen. - The “About” screen will display all the connected modules and their respective software versions. If the software module does not take, try re-formatting the drive to FAT32 and follow the process again.